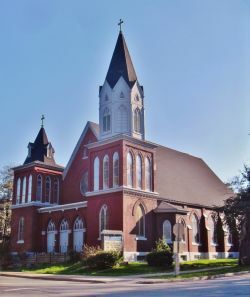 Welcome to St. Mark's, an active community of faith in the North End of Halifax, Nova Scotia, with historic ties to the nearby Military garrison dating from 1866. 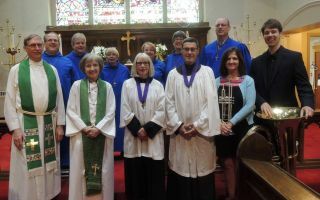 We are a church in touch with today's world by providing help to our neighbours and the wider Anglican Communion. You will find people of all ages and walks of life at St. Mark's, the common thread being our friendliness. As our mission statement says, "Come as you are to join us in Prayer, Praise, Singing and Fellowship and Helping Our Neighbour." 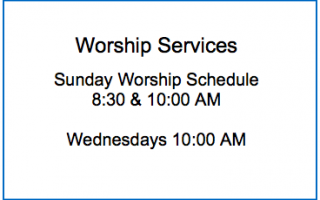 We are handicapped accessible from the Russell St. parking lot ramp behind the church, and via a wheelchair lift from the level Russell St. side entrance. 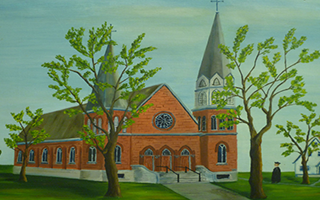 Sunday, February 24 - Parish Annual General Meeting, with a light pot luck lunch, will follow the regular 10 a.m. Sunday Service. This meeting is important in assessing our work and ministry over the past year, and in our planning for the current year. Reports will be circulated, church positions will be filled and financial statements for 2018 and a budget for 2019 will be presented. Please come prepared to participate and share! Saturday, March 2 - Our delicious PANCAKE SUPPER! Pancakes, sausages, syrup, juice & tea or coffee. There will also be a bake sale table! Saturday, March 2, 2019, 4:30 p.m. to 6:30 p.m.
Tickets available in advance by calling (902) 454-0207, e-mail stmarkshalifax@bellaliant.com or at the door. Take-out available. Wheelchair accessible venue. * Family rate applies to 2 adults and up to 3 children under 10. Seconds will be available to those who are still hungry! Watch here for more events as they are posted. Please visit our Facebook page for day-to-day events, activities, and pictures!